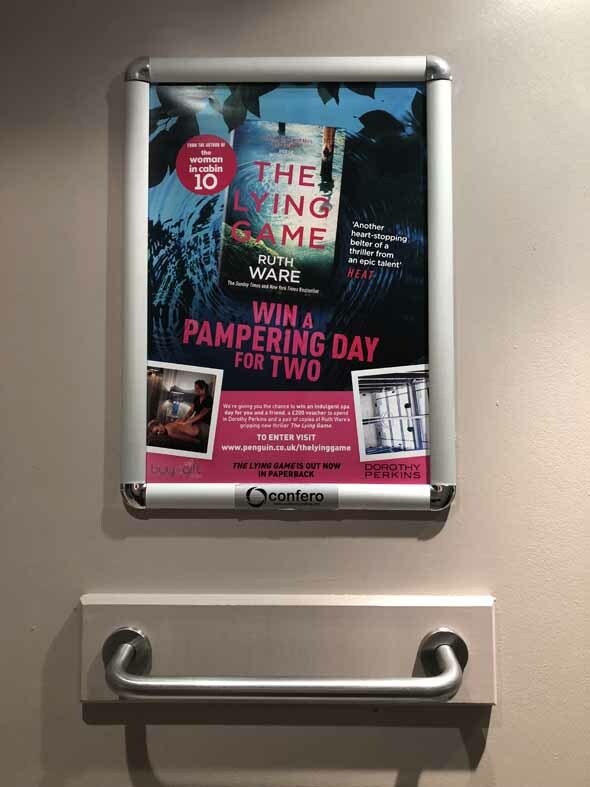 A3 format Fitting Room Poster led campaign with Penguin Random House to promote Sunday Times and New York Times Bestseller ‘The Lying Game’ – a thrilling novel by Author Ruth Ware. 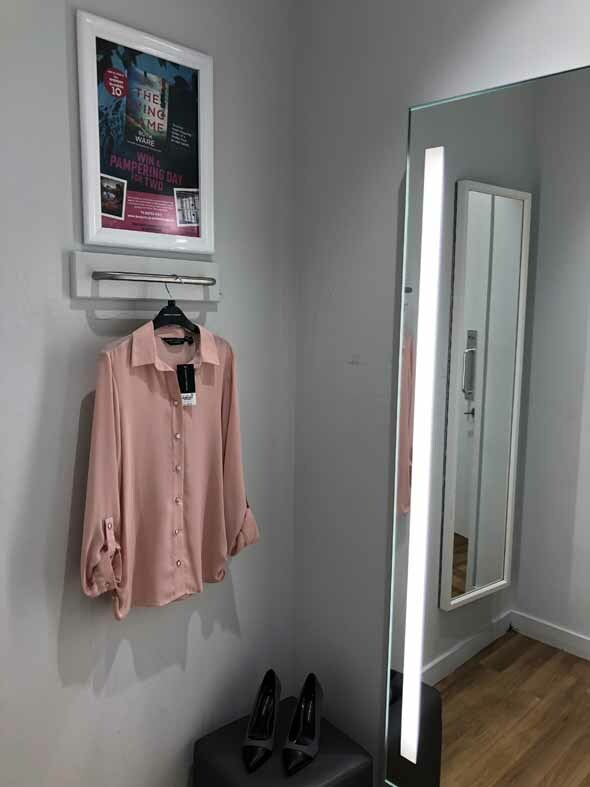 The campaign ran for two weeks and included A3 format fitting room posters displayed in the individual fitting rooms throughout 50 pre-selected high footfall Dorothy Perkins stores in Key Conurbations across the UK, promoting the book. 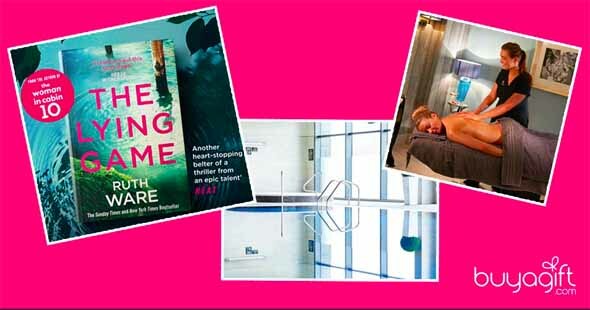 Author Ruth Ware’s gripping new thriller is the ideal holiday read… “I could not put this book down” (Reece Witherspoon). 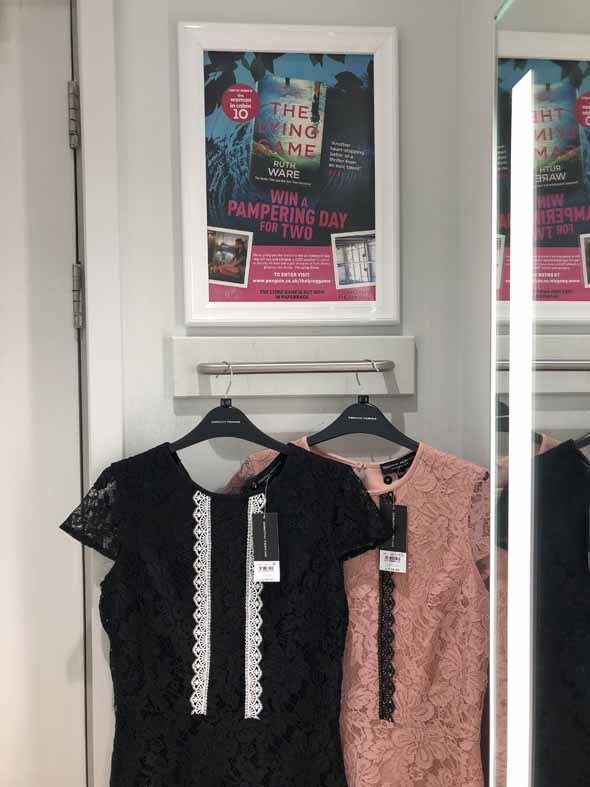 The campaign also featured an unmissable consumer facing competition offering one lucky Dorothy Perkins customer the chance to win an indulgent spa day for two, a £200 voucher to spend in Dorothy Perkins and Author signed copies of the book. 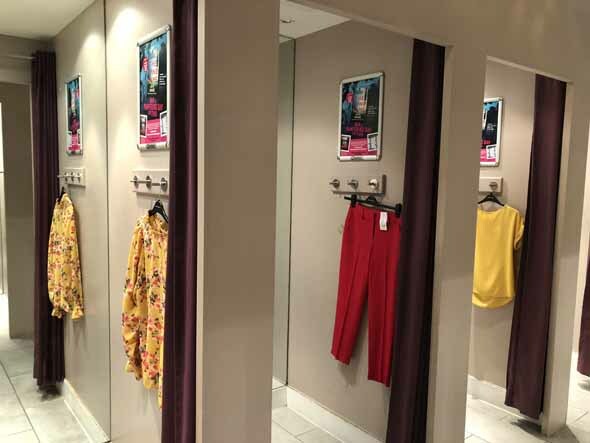 This example of a great interactive campaign showcases the benefits Confero Media and Marketing can offer such as 100% share of voice in Dorothy Perkins stores and specific targeting of a core audience demographic of ABC1 Women aged 25 – 44.